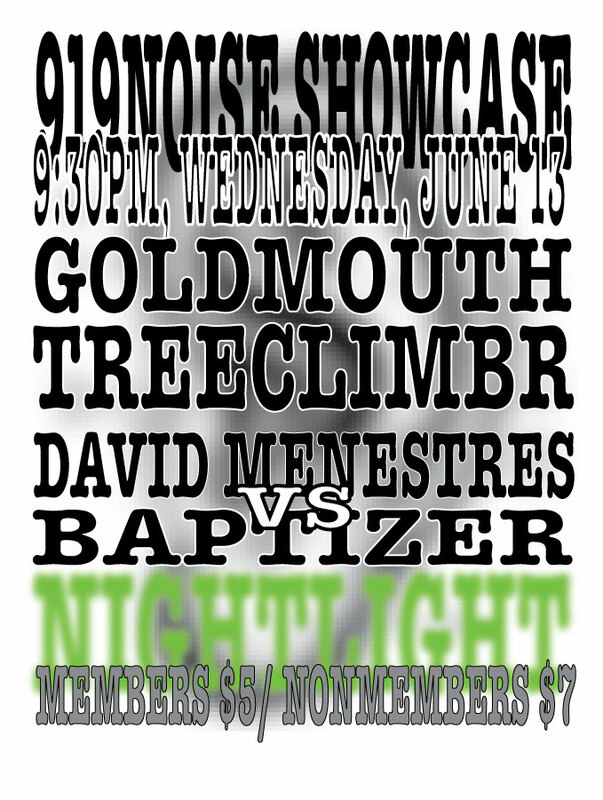 I’ll be playing with Baptizer on June 13 at the Nightlight in Chapel Hill as part of the monthly 919noise showcase series. Hear an excerpt from our first rehearsal back in May. Goldmouth and Treeclimbr will also be performing. Ear plugs are probably a good idea.